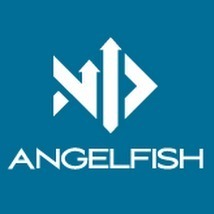 "Needs a huge improvements and investments"
Angelfish was my first analysis application. They have complicated interface and it takes a while to assume the all things. Only thing that I liked was customer care. And that was because of the too many problems, after every tool I had to contact with them. Dashboard is pain. It is really difficult to navigate and first setup. Notification system is not working properly. Searchbar is not good and you can lost everything in a minute. We were trying to use Angelfish to analyze and get information about our clients. Especially to get know what are our opportunities and our threats. * We monitor all Angelfish Software reviews to prevent fraudulent reviews and keep review quality high. We do not post reviews by company employees or direct competitors. Validated reviews require the user to submit a screenshot of the product containing their user ID, in order to verify a user is an actual user of the product. Hi there! Are you looking to implement a solution like Angelfish Software?